This course represents a collaboration between the Law Society of Ireland and The Wheel, a national organisation that represents and supports community and voluntary organisations, charities and social enterprises in Ireland. The course provides practitioners and those working in the charity, community, and voluntary sectors with an overview of the law and best practice in the relevant areas. The sector has faced many challenges in recent times, and public trust needs to be restored. The establishment of the Charities Regulator, increasing regulatory & funding requirements (including the introduction in late 2018 of the Regulator’s Charities Governance Code) and developments on the horizon in terms of funding and competitive tendering herald changes that need to be taken on board to shape the future of this sector in Ireland. The course has a very practical emphasis and will equip participants with the necessary knowledge and skills to maintain integrity and uphold standards. Our blended-learning approach and the use of an online forum ensures that attendees can learn both from lecturers and from the knowledge sharing and peer-to-peer aspect that is encouraged in interactive sessions. The course will appeal to those in practice who advise charitable organisations. It will also appeal to those working in the sector or those who hold positions on boards of organisations or in a management capacity. We invite lawyers and individuals involved with the sector to apply. If you are not a qualified solicitor, trainee, or barrister, please apply with a cover letter and CV for approval to attend the course. 3,500-word written assignment (85%) and continuous assessment (15%). Members of the Wheel are eligible for a 10% discount off their fee (i.e. €1,395 for solicitors, €1,485 for non-solicitors). The number of hours of CPD that you may claim in relation to this course will depend on the way in which you access each of the individual sessions. For further information and the booklet, see CPD scheme. 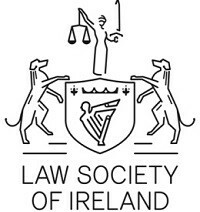 For information about Law Society of Ireland – Diploma Centre, please visit our college page on www.nightcourses.com by clicking here.